The movie marketplace is absolutely filled with big-budget CGI spectacles that seek to capture the same lightning in a bottle that made the first Transformers movie a hit a decade ago. In the ten years that have followed since Michael Bay first unleashed his interpretation of the endless battle between Autobots and Decepticons, we've gotten effects-heavy cinematic versions of Teenage Mutant Ninja Turtles, G.I. Joe, the board game Battleship, and so many more. I'm not even going to go into the super hero movies. The point is that Bay's Transformers seemed to usher in a particular type of highly-visual blockbuster filmmaking that accentuates action and minimizes the talky bits in between. I'm not condemning any of these movies. I dig some of them, and there are others that I don't. But there's a common thread running through most of these. You go for the visual chaos, not necessarily for characters and story. Again, this is not a criticism, it's just stating that this is the current phase that blockbuster movies find themselves in, and that's cool if you're into it. For a decade now, we've lived in a world where toy lines and cartoons from the past have been revived with a lot of attention placed on action and not so much on faithfulness to the characters. It's why Baroness and Duke have a romantic history in the G.I. Joe movie (something very out of character in every single other iteration) and why Michael Bay's Optimus Prime seems a little bit like a blood-thirsty killer instead of the heroic leader of the cartoons and comics. The action almost always overshadows any humanity in favor of blowing stuff up. That's what makes the 2017 Power Rangers movie such a surprise. Based primarily on the '90s television show Mighty Morphin Power Rangers, the film follows the exploits of five "teenagers with attitude" as they are given power to defeat the evil Rita Repulsa, an intergalactic threat to Earth. That show was famously a combination of existing footage from several Japanese shows and new footage of American teenagers. 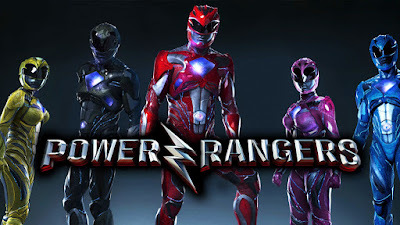 The appeal of Mighty Morphin Power Rangers was pretty close to the appeal of Michael Bay's Transformers movies and even the newer Teenage Mutant Ninja Turtles films. You tuned in for cool action, big robots, and visually-appealing characters, not for deep stories. I've heard people try to defend the slight plots of Mighty Morphin Power Rangers to detractors by comparing it to Saved By the Bell. We need to be honest with ourselves; Saved By the Bell was a teenage soap opera filled with young romance, understandable conflict, and the occasional tough lesson. It was definitely not high art, nor was it particularly good, but it built an audience because there was something about what was happening on screen that viewers could relate to their own middle school and high school experiences. Mighty Morphin Power Rangers offered almost none of that. Instead, we get plots like "Billy can't dance, and someone needs to teach him." Or "Jason is trying to break a bench press record." These stories play out for five minutes before Bulk and Skull wander in, split their pants, and catch a pie in the face. Then Putties attack and we switch to Japanese footage of awesome martial arts, cool gigantic robots, and Godzilla-style devastation. The appeal of the show was never in the deep characterization, it was in the action that melted off our faces. 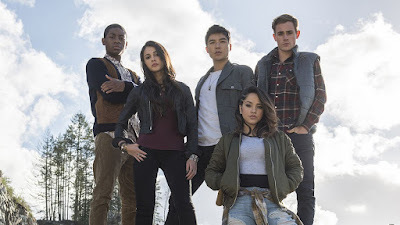 Incredibly, the new Power Rangers movie manages to take just about every silly element of the show and make it seem important. And not in a "gritty" or "dark" way, but in a story-driven way. We start out with a scene in which Zordon, who was always a constipated, chubby hologram on the TV show, is brought to life with shocking intensity by Bryan Cranston, giving it what I'd like to call "The Full Heisenberg." There are some special effects and our first glimpse of the Power Rangers suits in action as Zordon and Rita Repulsa (Elizabeth Banks) fight to a standstill. 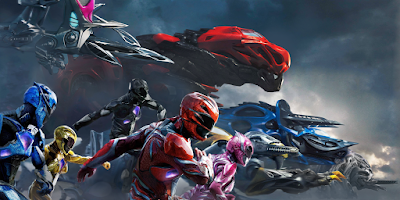 After this little tease, the film does not give us Power Rangers in action again for a full 90 minutes. The entirety of the next hour-and-a-half is spent on introducing us to the teenage characters and making us care about them as people. Somehow, this all works. unlike a lot of modern teenagers from the movies, these kids aren't cynical douche bags who speak like they've had their lines written by a team of TV writers or an improv troupe. They feel like real people, three-dimensional characters with actual problems. Jason (Dacre Montgomery) is a jock who is trapped by his reputation and his past mistakes. Kimberly (Naomi Scott) is a former cheerleader who has genuine regret over a cyber-bullying incident that she can't seem to outrun. Billy (RJ Cyler) is an autistic inventor, but wants to connect to people. Zack (Ludi Lin) is taking care of a dying family member and is afraid of being left all alone. Trini (Becky G.) is trying to figure out her own sexual identity and the isolation that being honest with herself might bring. If all these traits sound like they're out of The Breakfast Club, that isn't a coincidence, as the John Hughes classic was a very obvious and intentional influence. While Power Rangers never manages to soar to the same heights, it still stands on the shoulders of giants. If you're going to borrow from your influences, it helps when those influences are outstanding. The movie was directed by Dean Israelite, someone that I hadn't heard of before Power Rangers. He's a South African filmmaker with only one feature film credit to his name besides this movie. He must have done something to impress the folks at Lionsgate and Saban, because they don't just hand out potential franchise movies to newcomers. 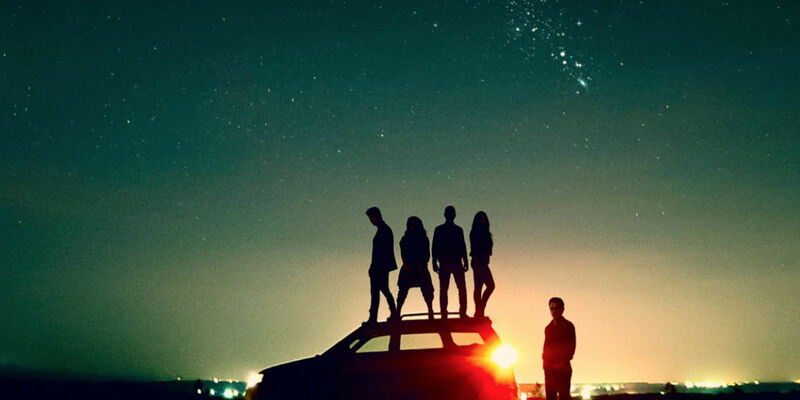 His previous film is called Project Almanac and follows a group of teenagers who discover plans for a time machine. I haven't seen it, but I'm so impressed by what he brought to Power Rangers that I really need to check it out. Israelite seems to have a unique voice and as well as the ability to wrangle all the cast and crew of a big-budget movie. That's actually very rare. Another surprise is that the character interaction is really fun to watch. There's the typical bickering, the "you don't know me" stuff that's to be expected, but around an hour into the movie, something really incredible happens. They actually do become a team. No, not a superhero team. Just a team. Instead of five individual people who must band together to stop this bad thing from happening, they become five individual people who come together because they care about each other. It's something we don't even have in the Avengers or X-Men movies, because a happy team is usually a boring team, but it just works here. They become peers, each one respecting the others. This is not a spoiler, in case you haven't seen the movie. In the Mighty Morphin Power Rangers TV show, the characters are pretty much like this from the beginning. In the movie, they have to work for it. I shouldn't have been surprised by any of this. 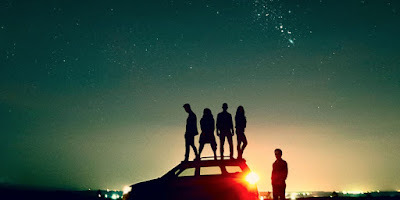 The teaser poster declared "Together We Are More." They really meant it. When the action finally comes, it's almost disappointing. Oh, it's cool looking, but after so much character stuff and digging into these kids' problems, it causes a bit of whiplash when they mount giant animal robots (their Zords) and do a Voltron combiner thing. That's the irony of this movie. The TV show was 75% action and 25% character, but that ratio is reversed here. Those coming to this movie expecting the same action pacing of the TV show might be disappointed. As much as I enjoy all the character development (they even manage to make Alpha 5, voiced by Bill Hader, almost not annoying at all), I don't think Elizabeth Banks works as Rita Repulsa. Actually, it might be more fair to say that I don't think the character of Rita Repulsa works. This movie needs a bad guy, but there's no reason it should be her. The prologue gives us a bit more context than the TV show ever did about Rita and her motivations, but when you spend so much time on real problems, the bad guys feel cartoonish and pale by comparison. I would almost rather the Rangers had simply fought a random Zord as the big bad instead, saving Rita as a shadowy figure for later. Maybe one of the reasons her character doesn't work is because it feels like she's barely in the movie. The pacing is set up to primarily follow the story of the teenagers, so any time not with them feels like we're being distracted. Criticisms aside, I really enjoy this movie. In a lot of ways, it's the anti-Bay summer blockbuster (it even takes a few digs at the Transformers movies), even though it didn't come out in the summer and wasn't a blockbuster. It had a modest budget (100 million) by today's standards, coming in at half or a third of what most similar movies are made for these days. It features a team of three-dimensional characters that care about each other and work together. Some special effects movies feel like they are made in a computer lab by machines with no human involvement. This is the opposite of that. It's so human that when we get to the special effects stuff, it almost feels weird. While the theatrical run failed to ignite a spark, it kind of seems irrelevant. Box office numbers don't mean what they used to as more and more people choose the home experience over the theatrical one. It looks like people are finding this movie on DVD and Blu-ray (this is how I saw it), and they'll eventually find it on streaming services because it has a recognizable brand name that will draw interest even from casual viewers. I actually have high hopes that there will be a sequel some day and that they'll let director Dean Israelite return to helm it because he really has a unique take on this franchise, bringing humanity where none is required. 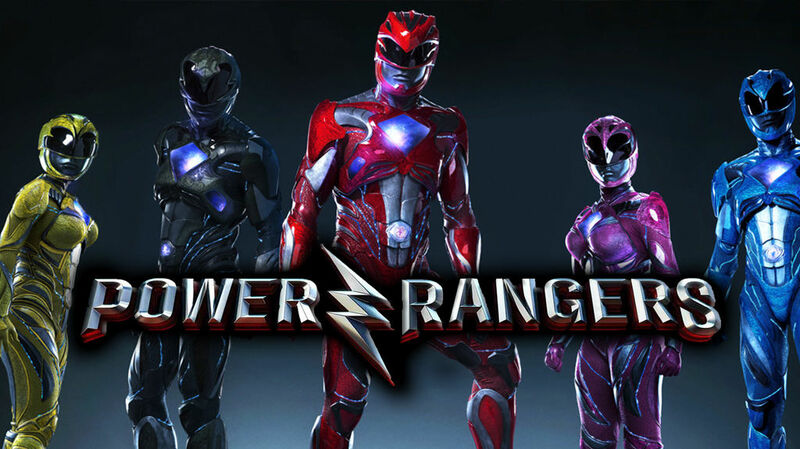 Power Rangers may not be the next instant franchise, but it's so much better than it has any right to be. I want more big budget movies like this one.